Hire a car for your safari trip or holiday excursion in Rwanda at moderate rates. Whether planning for a safari trip or luxury tour drive in Rwanda’s beautiful Kigali city, Africa Holidays is your perfect car hire solution. We are dedicated to serve you the best from the time of your arrival. Our fleet of modern up-to-date maintained and well serviced vehicles are readily available anytime for your transport solutions in and around Kigali. Our car fleet consists of affordable and comfortable self drive 4×4 wheel drives, group cars for hire, safari minivans, saloon cars and mini-buses. Looking for a perfect drive or car hire in Rwanda to cater for your safari itineraries? Look below through our fleet of safari cars, luxury drives, wedding cars and saloon cars available at any time affordably. Are you planning a group travel to reduce on the costs of solo car hire in Rwanda? 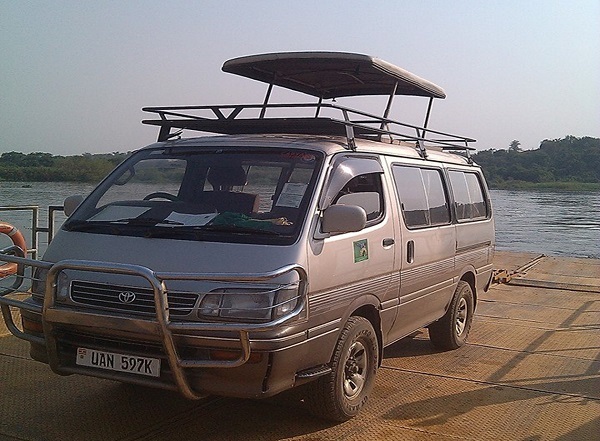 We have group safari mini-vans available for hire at affordable rates. These vans are perfectly ideal for a holiday safari trip and the best when it comes to safari game drives. The ideal feature of these mini-vans is that they are fully customized with a popup roof, comes with an inbuilt mp3 player for soundtracks and a fully functioning AC for a comfortable drive while exploring the beauty of Rwanda. Also find safety tools and equipment like the First Aid Kit, the Fire extinguisher to assist in handling emergency situations during the wilderness safaris. The Toyota 4×4 extended safari land cruiser is undoubtedly the most commonly known safari vehicle perfect for a rewarding holiday trip as you explore the wilderness in Africa. This customized safari Land cruiser is a road conqueror and has a satisfying capacity of 7 to 8 people labelled with additional features such as the pop-up roof for game drives, an inbuilt refrigerator, soundtrack system of MP3/CD, spacious and enough space for your cargo to let you get the best out of your trip driving in comfortable seats along the road. Explore the wildlife games in this extended land cruiser which can be hired with a driver or guide due to its manual type transmission which can exhaust your energy especially for long journeys and hours. The Toyota land Cruiser Prado is yet another extra ordinary vehicle on our fleet of car hire in Rwanda . 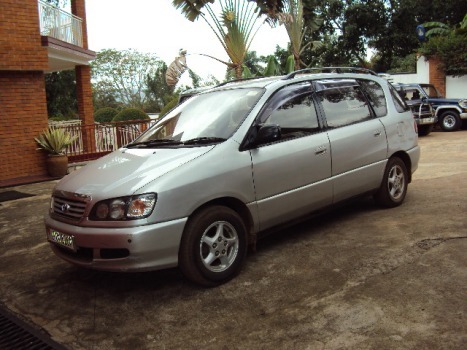 With its eye catching exterior and comfortable interior with royal like seats , air-conditioner and entertainment system, this car is a perfect way to explore the city of Kigali and pay visit to the tourist attractions in and around Kigali. You can hire this car with a professional , experienced driver or else opt for a self drive option. Are you planning to a car hire in Rwanda while on your holiday? Consider booking an ordinary Land cruiser a better fit than the Toyota Rav4 since it has upto a capacity of 6 Pax and can be used for safari excursions that but not a perfect option for wild game viewing, instead we recommend an extended land cruiser for game drives. Dreaming of an uninterrupted self drive to get the best experience in Rwanda on a safari holiday? Consider a luxury drive in our saloon cars. Saloon Cars is the generic term in British and Sedan is a name referred to these cars in other countries such as in America, Canada, Australian English and New Zealand. These saloon cars can accommodate up to 5 people comfortably, has an air-condition FM transmission with adequate cargo space in the rear. Deemed perfectly fit for Kigali city tours, airport pickups and transfers and wedding car hire services in Rwanda. The sedan/saloon cars can be hired with a driver or even without a driver. Book this car with us now for a perfect stay and holiday in Rwanda.